A smartphone engage in m commerce. The definition of m-commerce is mobile commerce, which is defined as to conduct business and place orders using a handheld computer or smartphone. An example of m-commerce is someone using their iPhone to order movie tickets. "m-commerce." YourDictionary, n.d. Web. 09 April 2019. <https://www.yourdictionary.com/m-commerce>. 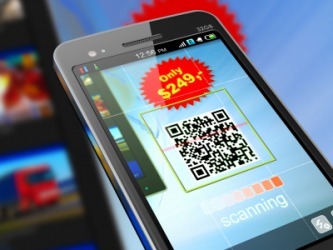 The use of mobile technology in commerce. Initial m of mobile. Modelled on earlier e-commerce.